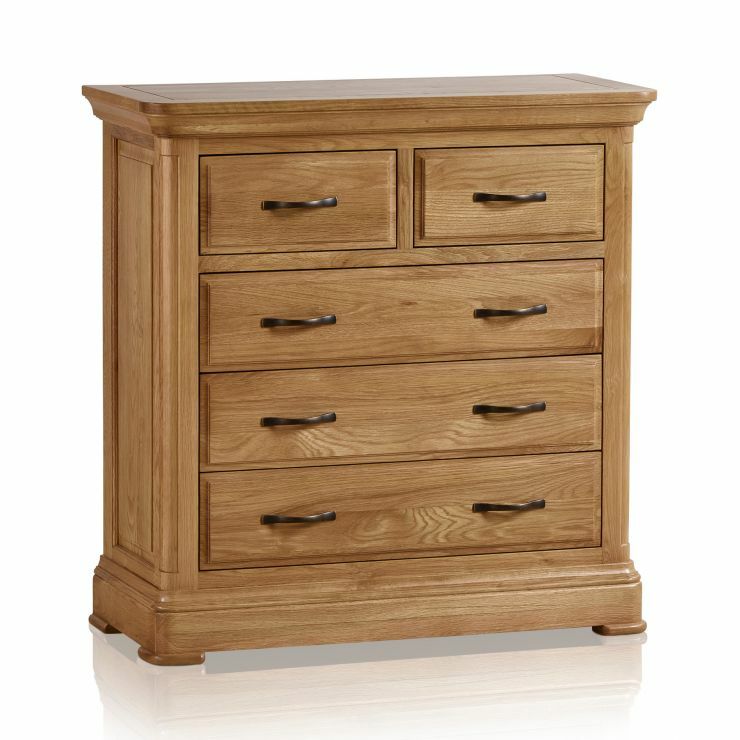 Inspired by traditional furniture design, our Canterbury chest of drawers provides you with both ample storage and style. 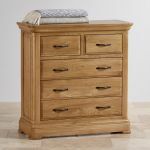 Featuring beautiful flared cornices, rounded top corners, and a deep pedestal base, it brings a stately grace to your bedroom. 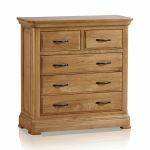 Finished in our bright natural solid oak finish which allows the wood grain to shine through and has a delightful light appearance, it blends modern elements too. 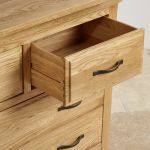 The drawer pulls are made from a striking complementary dark metal to complete the styling. 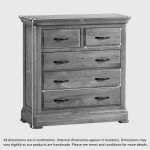 The chest is designed and constructed to our high quality standards, so you can rest assured you are bringing a stunning piece into your home that will stand the test of time. 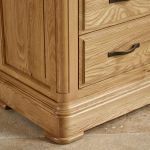 We only used solid hardwood throughout all of our pieces. 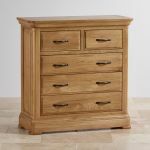 Even the backs, bases, and runners of the drawers are made from oak to resist bending and bowing. 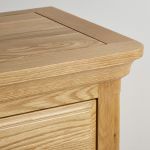 The drawers are also completed with real dovetail joints to add to the strength and longevity. 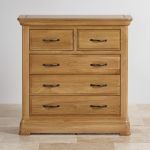 Don't forget to browse the rest of our Canterbury bedroom furniture collection.